From the lovely Eni Oken. 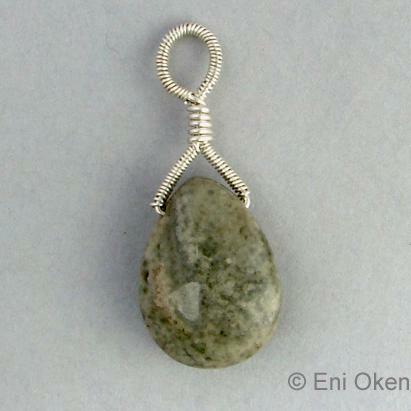 This is a great, FREE tutorial for a wire wrapped bail to hang briolettes from the very talented Eni Okens Jewelry Lessons website. It’s very easy to follow and is listed for beginners, but I agree, it gives a very delicate and intricate look. Follow this link for a full list of instructions.